- Composition: It is antiseptic liquid. 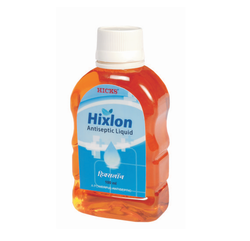 - Presentation: Available in packing of 1 litre, 500ml and 100ml. - Indications: Well known antiseptic lotion. Our Pharmaceutical Mouthwash is very useful for prevention and treatment of Plaque, Gingivitis Cardinal Infections, and Periodontal Surgery. Well known by the name of CMW Mouthwash, our products is also highly rated. We are a top notch supplier of Salvon Liquid.